The Butterfly Circus pieces are cut-out silhouette collage pieces that are a bit brighter than my normal work. They’re based upon a short story in my Snapdragon Tea YA fiction that focuses on the character Mirabai Jasper and her traveling butterfly circus. 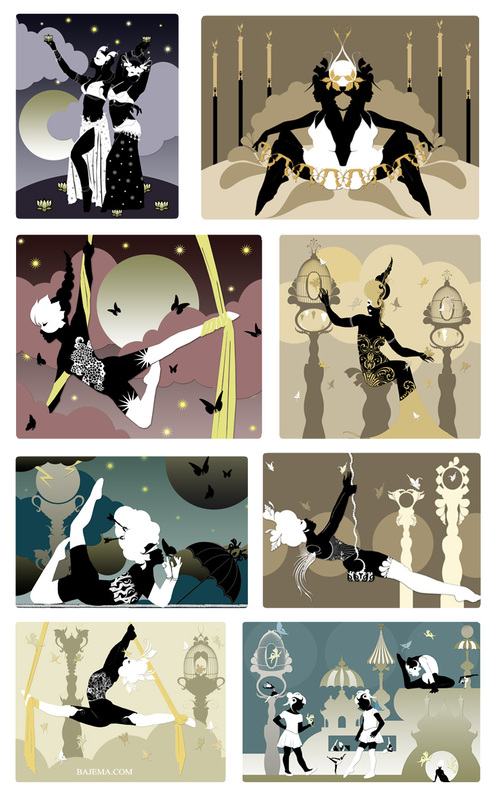 Recently I reworked many of these collages into a circus themed lenormand deck that can be previewed and purchased here. Prints are available.